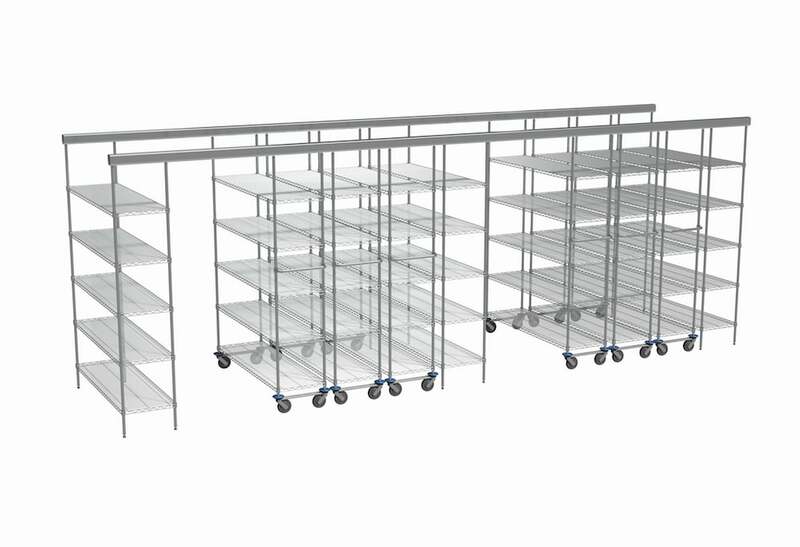 Inline SurgiSpan is the ideal shelving solution for medical storage and is commonly installed in sterile store rooms, medical store rooms, dry stores, wet stores, commercial kitchens and warehouses. 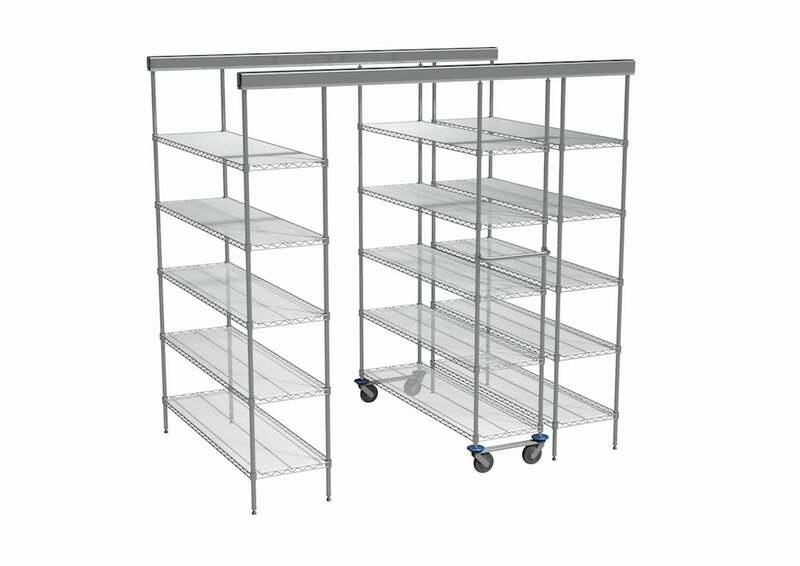 SurgiSpan is a high quality medical grade shelving with a ventilated open metal construction that prevents the build-up of dust and allows ventilation of light and air. SurgiSpan is fully adjustable and is available in both static & mobile bays. Overhead rail units are designed to maximise your available storage space and allow the shelving to be added to or relocated easily.